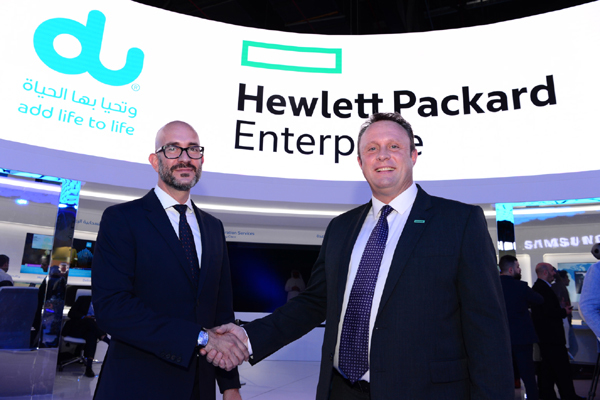 Hewlett Packard Enterprise (HPE) has signed a five-year collaboration agreement with UAE-based telecom services provider du to support the Smart Dubai initiative - Dubai’s citywide transformation into a smart city, as one of the key system integrators. This initiative supports the vision of His Highness Sheikh Mohammed bin Rashid Al Maktoum, to make Dubai the happiest city on earth and accelerate the development and deployment of solutions to improve quality of life, drive economic growth and create sustainable communities, said a statement from du. The Emirati telecom company is the strategic partner of Smart Dubai Office for the development and implementation of the Smart Dubai Platform. It is leading a consortium of multiple best-in-bread vendors; HPE is one of the companies entrusted with the system integration of the platform designed by Smart Dubai. Under the terms of the agreement, HPE will provide IT infrastructure, data centre services, operational support and will act as the system integrator for the Smart Dubai Platform. The platform will be the central operating system for the city, providing access to city services and data for all individuals, including private and public sector entities. The phased project will be rolled out over three stages, with the initial platform expected to go live by the end of 2016. "Governments and cities globally want to drive sustainable societies, and the UAE’s Smart City plan is futuristic and a one-of-its-kind initiative," said Herbert Zierl, the managing director for Middle East, Hewlett Packard Enterprise. “This is a landmark agreement and we look forward to working with du to support the Smart Dubai Office in achieving its vision to better serve the city and its residents,” stated Zierl. Carlos Domingo, the chief new business and innovation officer for du, said: "Our announcement today marks yet another step towards the UAE’s smart city transformation - enabled by du’s leadership in the smart city agenda, we welcome HPE’s technical know-how and demonstrated capabilities as a solid addition for fulfilling our smart city vision; we are delighted to have them on board."